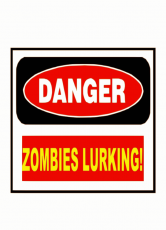 It was only a little while ago that I wrote about Zombie infection spread table for Savage Worlds and I gave you a link to an article containing a complex mathematical formula for modelling a zombie outbreak. Since then Alexi Alemi of Cornell University in Ithaca, New York and his colleagues have developed an interactive simulator. I have lots of games I’d love to play on my shelf but never had the chance to do so. If there was one game I’d love to play it would have to be All Flesh Must Be Eaten. In some ways I consider myself lucky with the players I have gamed with over the years as there have been very few refusals on what to play and eventually even All Flesh Must Be Eaten got played. Of the games I have to hand only Battlestar Galactica has yet to be run and enjoyed by my friends. I think the reason is that at the heart of the game it has a military hierarchy which can cause headaches on its own, let alone dealing with a dwindling population count. Top 10 RPG list – number 4 All Flesh Must Be Eaten. Since the first time I saw the ground-breaking Evil Dead movie I have been fascinated with zombies. I was still at school when this banned video nasty appeared and became the hot film to see. I can’t remember how I saw it but I recall it left a very strong impression on my imagination. Years later I got around to seeing the classic film of the genre, George Romero’s Night of the Living Dead. While Night lacked the gore of Evil Dead it appealed to me more as the group of people trapped in the farmhouse gives you an insight into what it means to be human and how far would you go to survive. You could say at that point I was hooked and wanted to try some zombie survival horror gaming but a lack of systems and support for the genre made it a tricky prospect. I had tried beforehand using Call of Cthulhu but I was ultimately disappointed by the end results; CoC is a fantastic system but it didn’t handle things the way I wanted. I even tried using Palladium’s Beyond The Supernatural and this did work better but ultimately I was still unfulfilled. I remember seeing an advert for All Flesh Must Be Eaten (AFMBE) and I tracked down a copy of the first printing. This piqued my interest as this was probably the first specifically themed zombie based RPG. So I ordered a copy from my FLGS and what I saw impressed me. The main book is a somewhat unusual size, a smaller edition that a standard game-book with all the rules to play within this one self contained volume; including yet another copy of the Unisystem rules. In my opinion Eden Studios could just publish the Unisystem rule in a single book and release source books that still tie into the setting, something similar to the Savage Worlds books. Once inside the book presents you with some background fiction which helps set the tone and a brief history of the genre including a discussion of the zombie. Character creation is fairly detailed and flexible using a point buy system so you can get the sort of survivor you want to play. These points vary depending on whether your character is a “survivor”, “norm” or “enlightened” plus there are also a few archetypes for you to pick up and play with. To round things off there are also a selection of advantages and disadvantages. As this is classic Unisystem there are a number of skills available for selection including the combat skills but also some unusual ones; like Beautician for example. The mechanics are solid, Unisystem uses a single D10 for resolution and add the result to stat + skill and if the total is nine or more you succeed. Depending on the final total, different success levels are obtained and this can help by allowing you to accomplish tasks faster or deal more damage in combat. There is also the obligatory chapter with a short list of equipment and weapons to purchase or acquire, although basic it does cover the bases needed to get up and running. The real meat of the game can be found in the game masters section along with the zombie creation rules are the various campaign settings you can play with called rather amusingly: Deadworlds. This chapter details how to create the zombies that will plague the players, from various weak spots to special abilities; you can design them all. Whether you want the run of the mill shambling mindless flesh eater to some of the exotic zombies from popular video games it’s all here. Each Deadworld has a write-up and explains what sort of undead can be encountered along with their weaknesses and powers. The standard Romero Deadworld is here with one or two unusual ideas about how the infection spreads; if you’re bored with being bitten then you can have the infection spread as an STI. For my current campaign I had the players select from the characters in the excellent starter adventure Coffee Break Of The Living Dead, as I wanted to get the game up and running with a minimum of fuss. Since the success of AFMBE several other games have appeared on the market. I would list them here but I haven’t really had a good chance to read through them all yet. Billed as a campaign epic for Savage Worlds and published by Daring Entertainment it certainly has a lot of meat on the bones. Each chapter is designed to be an evening entertainment and there are thirteen or so chapters to each of the four volumes in the series you have a years’ worth of play ready to go. It shouldn’t take much work to create the various characters in AFMBE and that’s what I plan to do at some point. If you have a favourite game then why not leave a comment below and I’ll check it out. Category: All Flesh Must Be Eaten | 1 Comment on Top 10 RPG list – number 4 All Flesh Must Be Eaten.